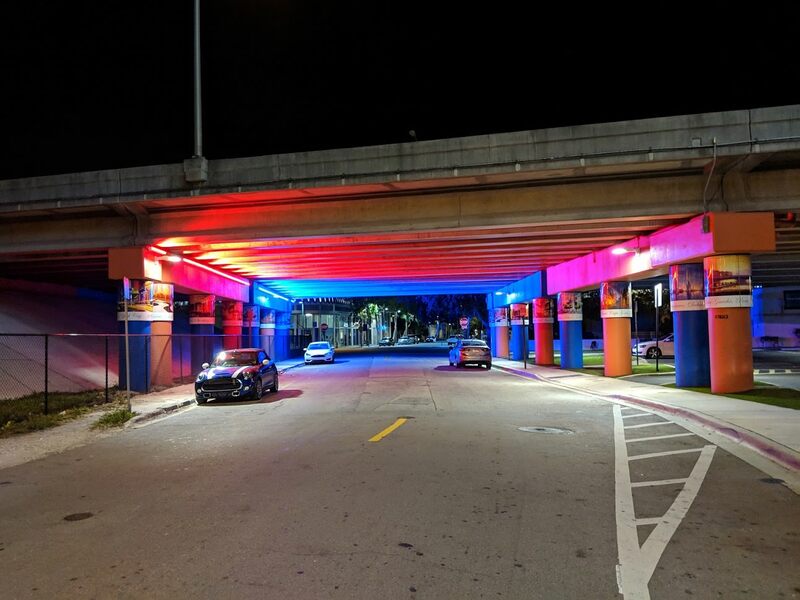 Walking from Midtown Miami to the Design District feels slightly safer at night thanks to newly installed lighting. 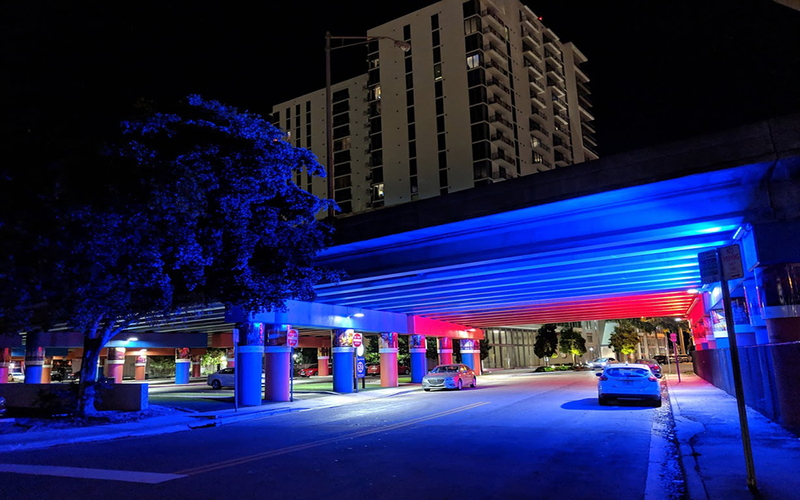 Several roads and sidewalks connecting the two areas are now lit up in red and blue. 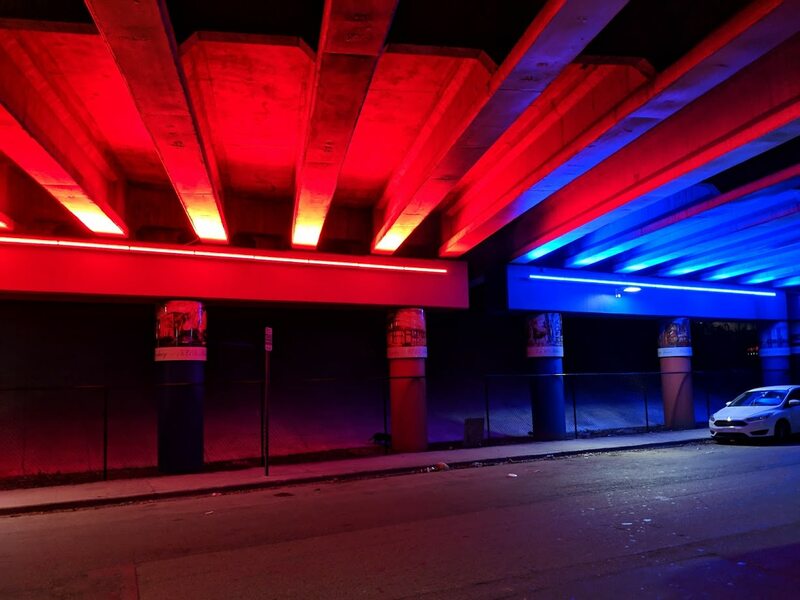 The roads that pass under the I-195 highway were formerly dark. 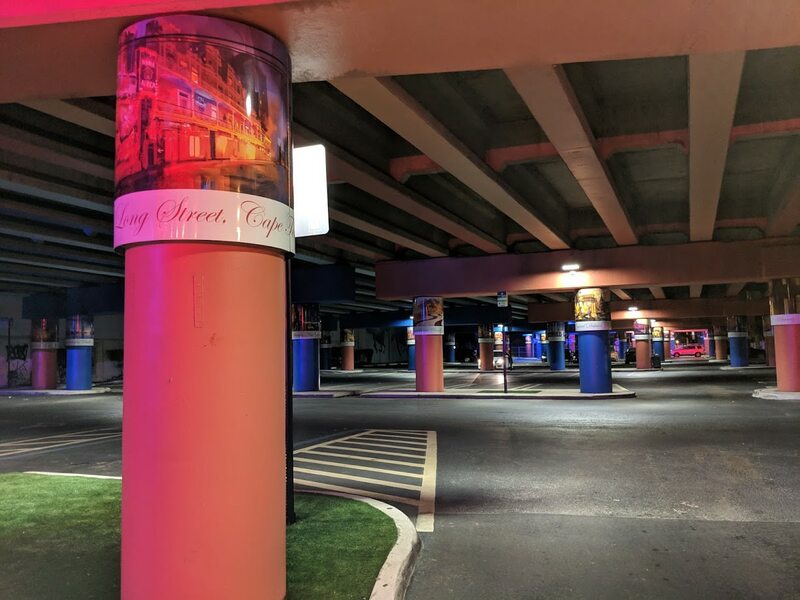 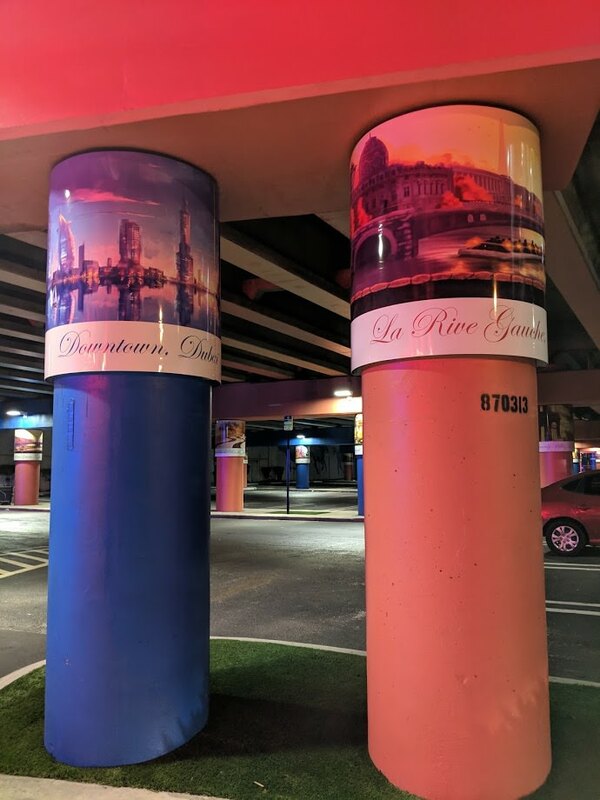 Better lighting also appears to have been put in place in the Miami Parking Authority lots that are under the bridge.